Describing Toad in the Hole as ‘the homeliest of Sunday dinners’, may be a statement that couldn’t be anything other than an overstatement. 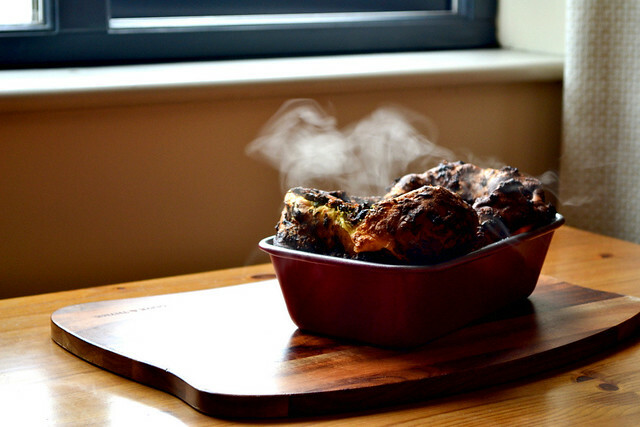 Yet it absolutely is; indulgent sausages ensconced in a comforting yorkshire pudding batter. What could be closer to a hug on a plate? 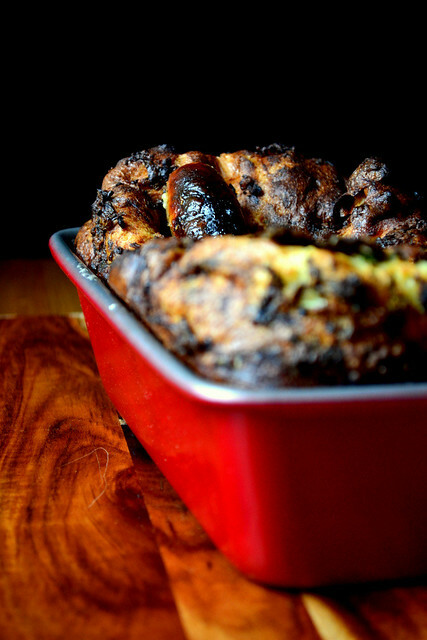 Even more attractive is how simple preparing toad in the hole is. The cooking process involves little more than thrusting a tin of rich batter into the oven. Of course, you’ll need to serve something alongside your toad in the hole, but onion gravy and vegetables are hardly time consuming. The origins of the title ‘toad in the hole’ are disputed somewhat. Some attribute it to the aesthetics of the dish; sausages (toads), poking their heads out above a sea of crispy batter. Others believe ‘toad’ may simply refer to the use of cheap leftover meat, reinvigorated to be more appetising. Everyone seems to have their own recipe for toad in the hole. Consequently, I don’t think I’ve two that were quite the same. This recipe, for instance, yields an almost custard-like batter; thick and rich, but with the characteristic crispy outer edges, which all renditions must posses. My own little twist is to add a handful of fresh herbs, or a sprig of rosemary, to the mix. The extra flavour adds and extra lift to the final dish. The addition is relatively subtle, but a delicious touch all the same. Whisk the plain flour, eggs, salt and herbs together to make a batter. Set aside and preheat the oven to its highest setting (240C/220C(fan). Pour sunflower oil into a large loaf tin or similar, enough to give a depth of 1cm. Place this into your oven until hot. At this point add your sausages and cook until browned. You might want to pop a tray underneath the pan to catch falling oil. Once your sausages are cooked, give your batter one last stir and pour into the smoking oil. Pop back in the oven for 30-40 minutes. Do not open the oven for the first 15-20 minutes. Take the pan out of the oven once the batter is fully risen and considerably browned; it takes a lot to burn. Eat immediately. Cost: Sausages aren’t particularly expensive; you can get 8 good quality sausages for around £3. Less if you buy in bulk. And the remaining ingredients for toad in the hole are hardly pricey. What does that mean? It means your toad in the hole shouldn’t cost more than £4. I just bought some quality sausages at the (amazing) Frome Independent Market. Some will be finding their way into this tomorrow. Fantastic. I love high quality sausages – I hope you enjoyed it. They had a lovely, subtle hint of flavour. I just love that steaming picture. Beautiful. I’ve heard of Toad in the Hole many times and had no idea what it was. Your herbed batter sounds wonderful,Conor. 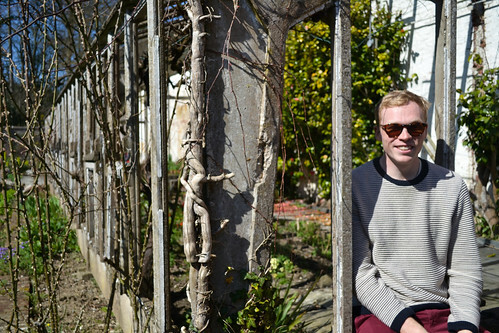 I must look in on the posts here that I have missed. Please do – give it a go too, I’m sure you’d enjoy it. Looks like a perfect family dish for a Sunday’s lunch! Oh it is – very simple and quick, which is ideal. Perfect! And you are becoming the master of steam photos. There was just so much steam, it couldn’t be helped! 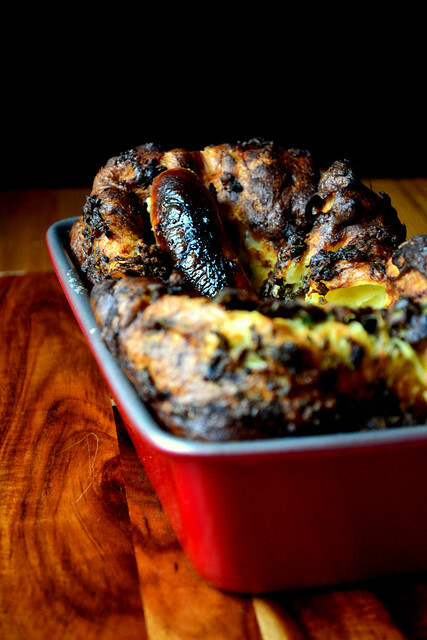 I love your addition of herbs in the batter, a great twist on a toad in the hole! 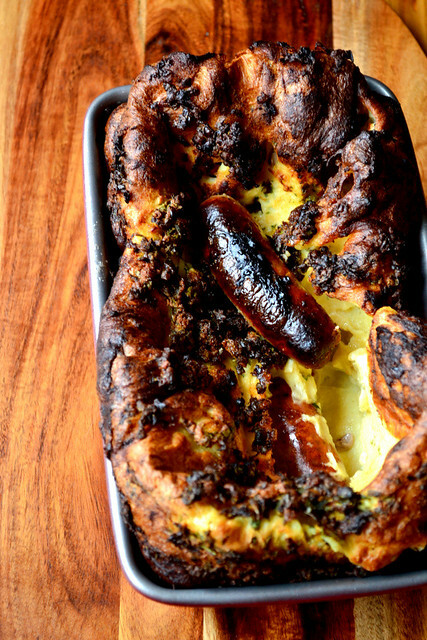 I’ve just found a toad in the hole recipe with field mushrooms so will be combining yours with that this weekend. Thanks for sharing! My pleasure – it turned out super well and the herbs just add a little extra.